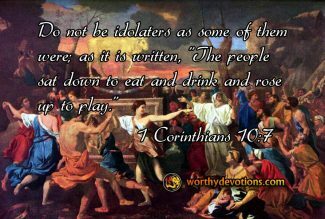 The Apostle Paul continues his warning to the Corinthians against idolatry by referring to Israel's celebration/worship of the golden calf. 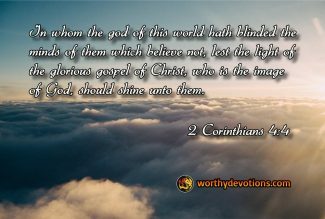 Aaron's proclamation, "These are your gods (plural) O Israel" could be one of the earliest declarations mixing the worship of the true and living God, YHVH, with idols. This is called "syncretism". Dictionary.com defines it: " the attempted reconciliation or union of different or opposing principles, practices, or parties, as in philosophy or religion." Does Anyone Need A Shoe Shine? Have the Boldness of Lions! As we continue our study of the men who followed David, let's look at their boldness -- the boldness of lions! We also need this boldness in the face of the enemy who is "like a lion", himself....a roaring lion. You're Chosen for a Task! 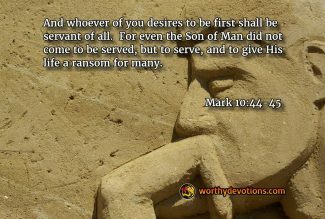 As we continue our study of Mashiach ben Yosef, we observe that both Joseph and Yeshua (Jesus) were chosen or "anointed" for a special task. When Jacob gifted his son Joseph with a coat of many colors, lifting him up above his brothers, he reflected Joseph's calling by the Lord for a life work as a leader. As brothers who are blinded - open their eyes! When Joseph became ruler over Egypt, his name was changed, and his identity was altered so that he no longer appeared or lived as a shepherd son of Israel from the land of Canaan, but as an Egyptian Prime Minister. The transformation was so thorough that when his ten brothers arrived in Egypt he was totally unrecognizable to them. 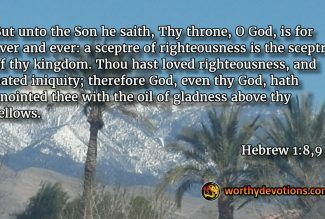 This true story beautifully illustrates Mashiach ben Yosef (Yeshua/Jesus at His first coming), and contains a prophetic picture pointing to Yeshua and His Jewish people living today as we approach the Second Coming. 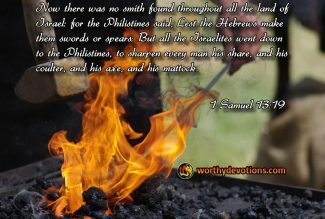 This interesting passage speaks of a time when Israel had no blacksmiths to make weapons and was without any armament to defend themselves. 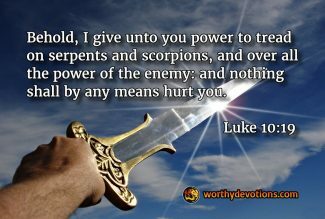 The enemy had succeeded to disarm Israel by removing their weapons, and those who forged them! He's attempting the same tactic today.